« Are you living your dream? TGIF!!! I don’t know about you, but this entire week has been off for me. On Tuesday it felt like Monday. On Thursday I thought it was already Friday….but Friday is finally here. Whoot! It’s been a really good week in my family. We’ve had some great news, little things, all week. Not the norm at all, but I’m telling you I’m grateful, really. Lasty year was not super great, so I’m excited about all the little things this year. I don’t know about you, but Monday morning’s are really tough for me. Having the alarm go off, you roll over and look and see that it’s already the next work week. Getting motivated to get out of your nice, warm, bed can be difficult. 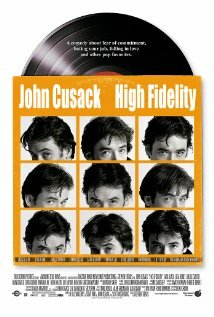 Enter the movie, “High Fidelity.” Have you all seen this movie? The part that I’m talking about (although the whole movie is really awesome) is when Jack Black comes into the record store with his “Monday morning tape.” (Yes, cassette tape.) Do remember the first song that he played? So, there we are, sitting on our couch, debating music and what would be the best song to get you going on a Monday. My husband’s input was, “Holding Out For A Hero,” by Bonnie Tyler. I have to admit, that’s a pretty good song. I defy anyone to listen to this song and at least not have a small smile on your face. I couldn’t think of anything to beat this at first. I mean, I have a lot of favorite songs, but nothing that would be the ultimate in this category, I think. Until this morning! I was getting ready for my Friday, listening to the radio, when my vote for the Monday-morning song came on…..”Eye of the Tiger.” Yeah! I mean, who doesn’t get pumped listening to this song? So now I ask, what do you think? Do you have a song that helps you get going in the morning? I would LOVE to hear from you! Want another fun monday song? It may not be the ultimate morning wake up jam, but you’ll definitely empathize. She’s got a great voice. I’ve never seen this before.